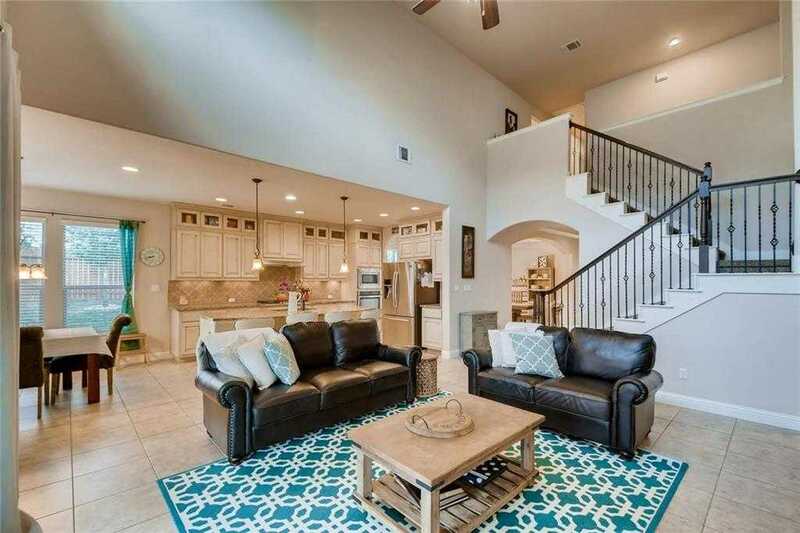 Stunning home in Sweetwater on a bigger corner lot with greenbelt views. 5 bed, Master down with custom build walk in closet, garden tub with double vanity and walk in shower. Additional bed and bathroom on main level separate office faulted ceiling in living room open kitchen. Custom sliding doors leading on to covered porch with outdoor kitchen. Upstairs game room and Cinema wired for surround sound 3 bedrooms upstairs 2 bathroom one Jack in Jill. Great lay out great pool community. Please, send me more information on this property: MLS# 2693157 – $569,000 – 5713 Lipan Apache Bnd, Austin, TX 78738. I would like to schedule a private showing for this property: MLS# 2693157 – $569,000 – 5713 Lipan Apache Bnd, Austin, TX 78738.